Blade length : 72.72 cm or 28.62 inches. Width at the Kissaki : 1.89 cm or 0.74 inches. 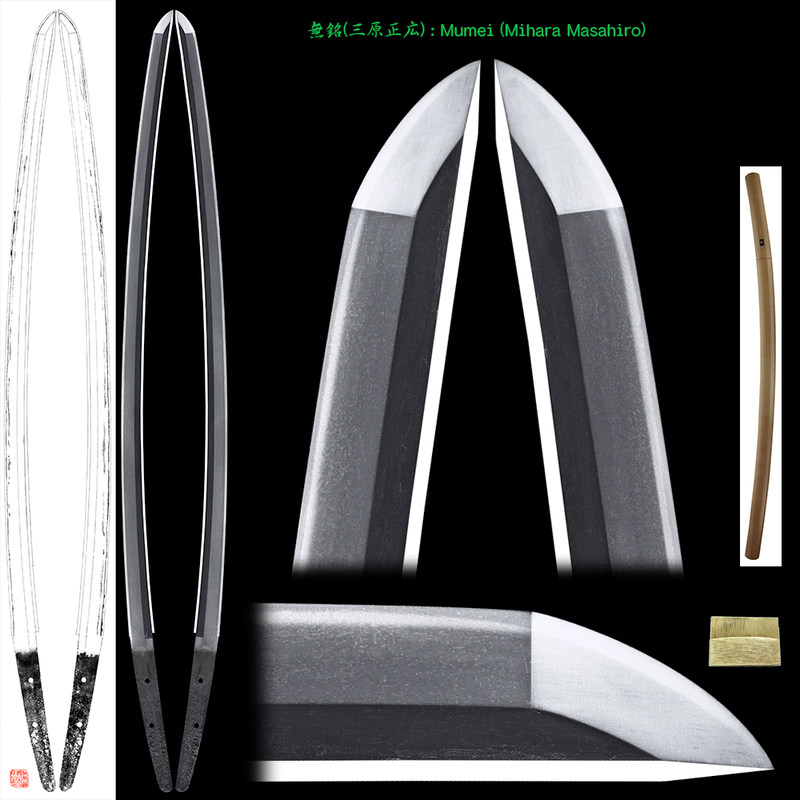 Shape : Regular size with deep Sori Katana. Almost Ubu Nakago. Jitetsu : Ko-Itame Hada well grained with Jinie attached. There are Chikei. Hamon : Nie Deki, Suguha, there are double Ha. In Ha, there are many Ko-Ashi. On the front side, Boshi is small around shape. On the back side, Boshi is Yakidume style. to late Muromachi period in Bingo province present Okayama prefecture. The representative swordsmiths were Masaie and Masahiro. are called Ko-Mihara, and are distinguished from the later period. which is precious because of correct signature Masahiro not just only Mihara. 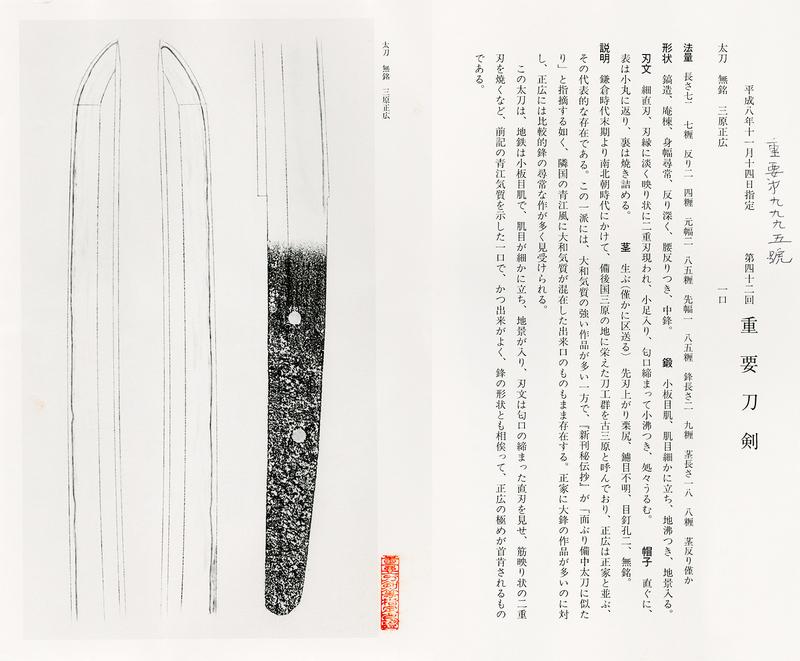 This blade has Yamato style and Aoe style. This blade is elegant and masterpiece. Tsuba : round shape iron Tsuba, dragon is engraved with open work. 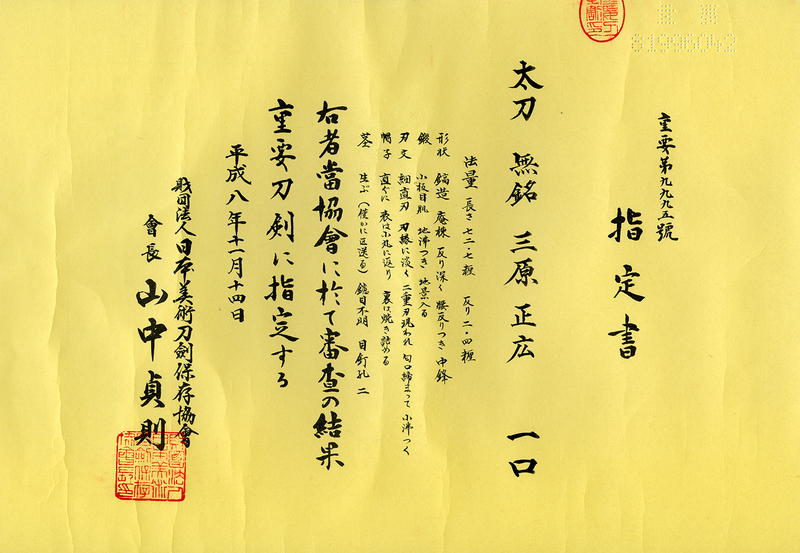 Fuchikashira : Shakudo Nanako, dragon is engraved with gold color. Menuki : Shakudo, dragon is engraved. large size.